At Signature Arms & Armor Auction held by the Heritage Auction in Dallas, an Rare 1836 Colt revolver went under the hammer and fetched $977,500 as the winning bid, setting a world record price realized for a single Firearm sold at auction. It was purchased by an unidentified West Coast collector, who auction house officials will only identify as a Silicon Valley mogul. The gun, with a nine-inch barrel and loading lever, is said to be the finest surviving example of Samuel Colt’s first revolver, produced in Paterson, N.J. This photo, released courtesy of Heritage Auctions, shows an ivory-gripped Texas, or Holster Model No. 5, Paterson Revolver. Heritage Auctions/Greg Martin Auctions said Tuesday that the revolver sold for $977,500 in Dallas on Sunday. 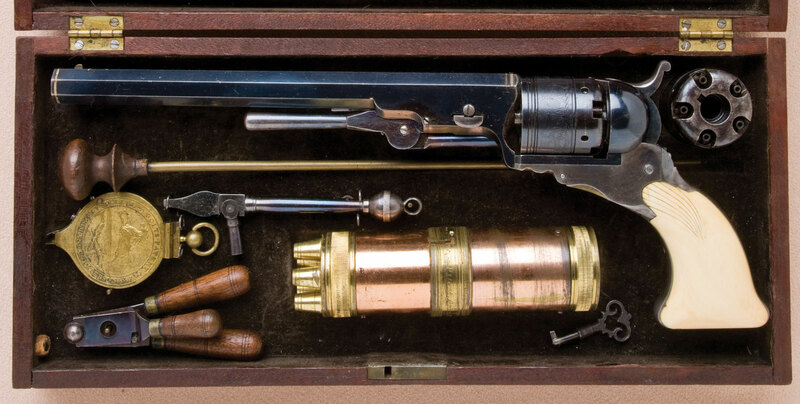 The Colt was part of the prestigious Al Cali Collection, which includes more than two-dozen Colts manufactured during the percussion era that lasted from 1836 to 1865. 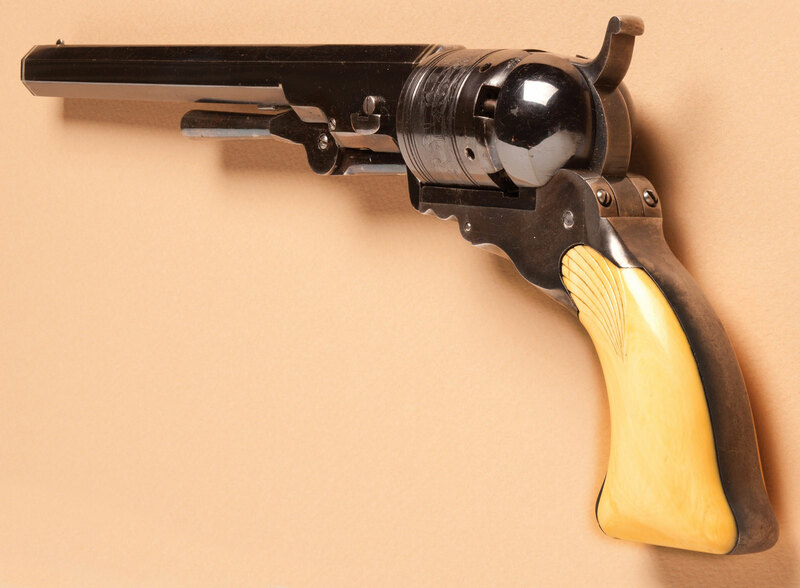 The Paterson, produced at the Colt manufacturing facility located in Paterson, New Jersey, was favored by the early Texas Rangers and served as the foundation of Sam Colt’s rise as America’s most renowned gun maker. More than $3.27 million was realized from the top four lots of the Al Cali Collection. Three additional Colt revolvers fleshed out the top-four selections. A historic-cased, Gustav Young-engraved and ivory-gripped Colt Third Model Dragoon revolver and an inscribed Colt Model 1861 New Model Navy revolver were the second highest guns sold. Each model sold at $805,000. A Colt Walker Model Civilian Series revolver sold for $690,000. The auction, altogether, realized more than $8 million, with 583 bidders vying for 378 lots, translating into a 90% sell-through rate by lot value.